This morning I completely forgot about daylight savings so when Isla woke up at her usual 6:30am (this is the only down side of a baby with a 6pm bedtime as far as we're concerned), I checked my watch and thought nothing of it. Scott and I usually trade off who is on "morning duty" and today was my day so I put her in her stroller for a morning walk. It was eerily quiet out in the 'hood. I mean, I know it was 6:30am on a Sunday and all but usually there are at least a few joggers and cars about. This morning there wasn't a soul. Isla and I owned Las Olas Boulevard. I just chalked it up to a rowdier than normal Saturday night and continued on our walk to the beach to watch the sun rise. Imagine my suprise when I came home an hour later to Scott, still in bed, rubbing his eyes asking, "Did you just take Isla for a walk at 5:30am?!?" Whoops. Oh well, it was a gorgeous morning! 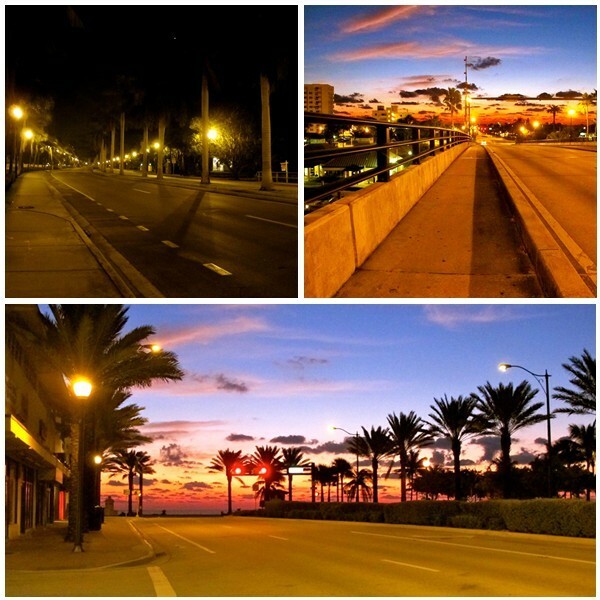 The evolution of the sunrise on Las Olas Blvd. The canals of Las Olas. We live on one such canal. 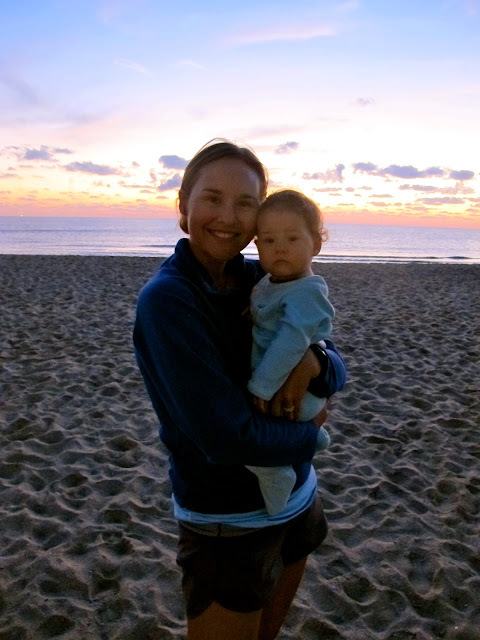 A fellow walker snapped this pic of Isla and I on the beach. The two of you look SO much alike in that last photo! P.S. We had a dog who didn't understand that it wasn't time to get up, too. Oh well, it was pretty here too . . . but cold at 29 degrees! 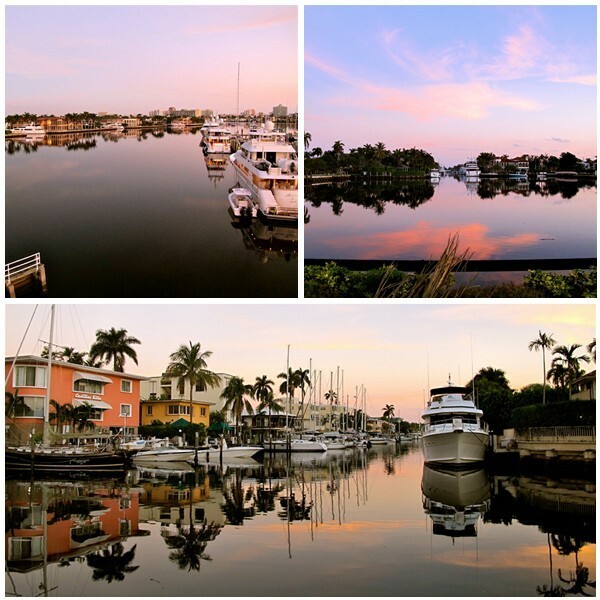 The photos on you blog site are outstanding with the sky colors, the still waters on the canal. It is now wonder that you are so content to be living your dream.